Get full details about this Capital Equipment Purchasing training sent to your email immediately after you enter your contact details on the right. With everyone working very hard to make or save money for the organization, it is surprising how many organizations allow much of this money to be wasted by poor procurement practices in obtaining capital equipment. This seminar is designed to stop the waste by providing the principles and concepts of best procurement practices to all those involved in the specifying, selection, and contracting of capital equipment. We cover the Equipment Procurement process, the critical statement of work, look at total cost of ownership concepts, discuss sales people and their strategies, developing the tender/ request for quote, and writing the equipment contract. We also discuss progress payments, warranties, spare parts, training, equipment acceptance, and other important issues that are important to both technical and procurement professionals. Equipment Related Contract Terms & Conditions. 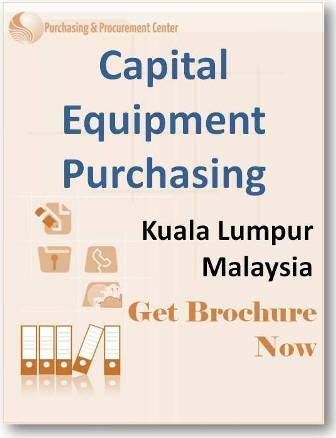 For full details & brochure for this Capital Equipment Purchasing Training , as well as when & where it may be conducted, simply fill in your details on the right.